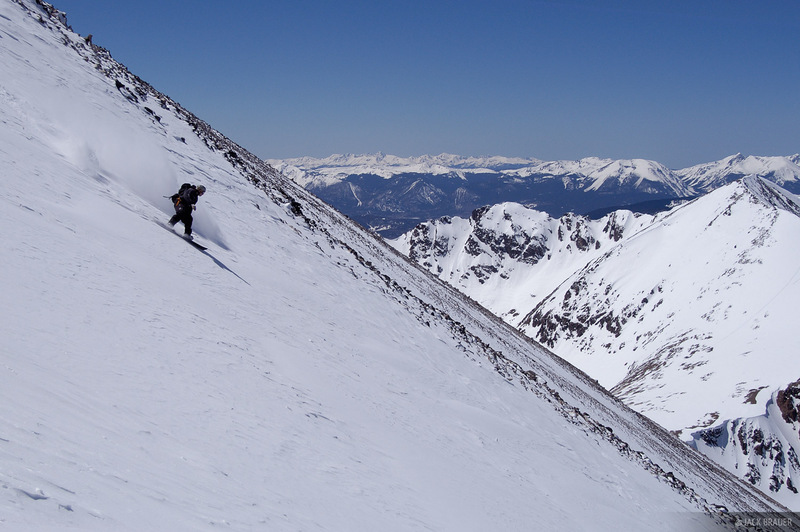 Jason King riding down the Northwest Couloir of Torreys Peak. This is right after the initial technical section, when the couloir opened up with wide powdery snow. Once we got to this section we were able to stomp on the gas and rocket down the remaining 2500 feet. Photo © copyright by Jack Brauer.